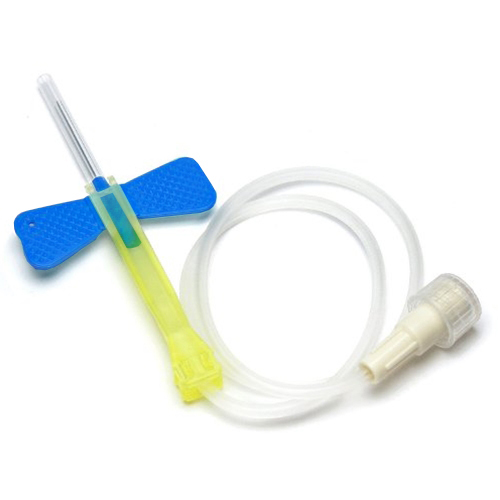 Sterile BD Vacutainer Safety-Lok blood collection set with 25 gauge, 0.75" safety needle with regular wall. 12 inch long tubing with royal blue wings and no luer adapter. Safety needle has sliding safety shield provides one-handed activation immediately after use. Comes in a box of 50. Manufactured by Becton Dickinson.